I am a big fan of false lashes. They can make a huge impact on any look, and with a bit of practice they are really not that scary to apply. Lindsay from Shrimp Salad Circus (an amazing blog that I love) asked me if I could do a guest post on how to make applying falsies simple. 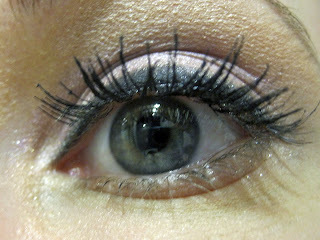 Check out my guest post here to see how I go from a little lash to a lot of lash using Ardell 105s! Thanks again, lady - everybody has loved your post!! !